As the seasons change, so does the vignette on the pine chest at the end of my stone fireplace. A few things stay the same year round. 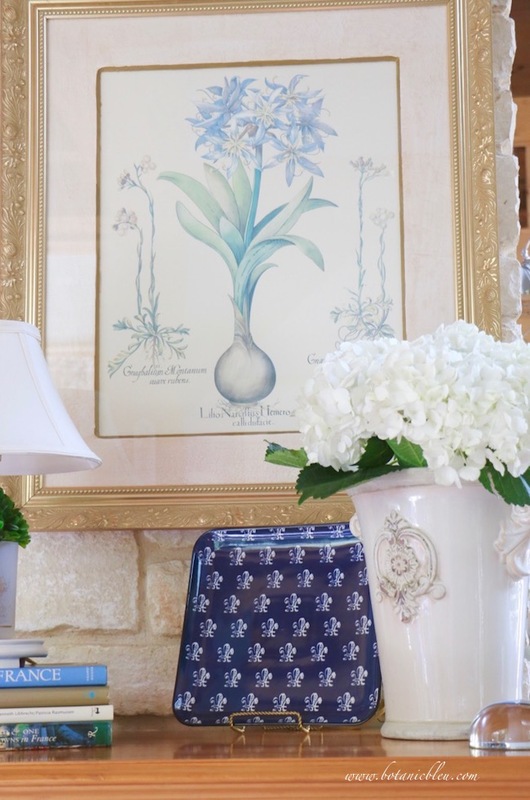 The lily print, the small lamp, and a varying stack of books anchor the chest's arrangements as seasons come and go. 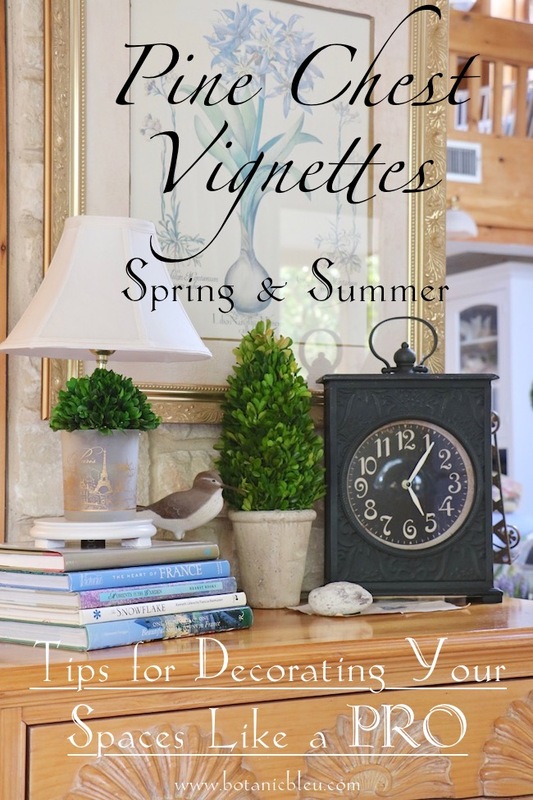 As you look through the photos of how the pine chest vignettes changed during spring and summer of years past, watch the book stack go up and down in number and in change of titles. Notice also the changes in the base of the lamp. One of the ways I find ideas for new arrangements is by studying Instagram, Pinterest, and other blogs. Invariably something catches my eye and sparks a vision for the top of my pine chest. And, if the photographer/writer shares bits of her design process, I take note for ways to improve my own. Thank you, StoneGable,Home is Where the Boat Is, My French Country Home, . . .
Then I dissect my mental notes for patterns, techniques, and principles. Just like attending interior design classes, but in my nightgown curled up in bed. 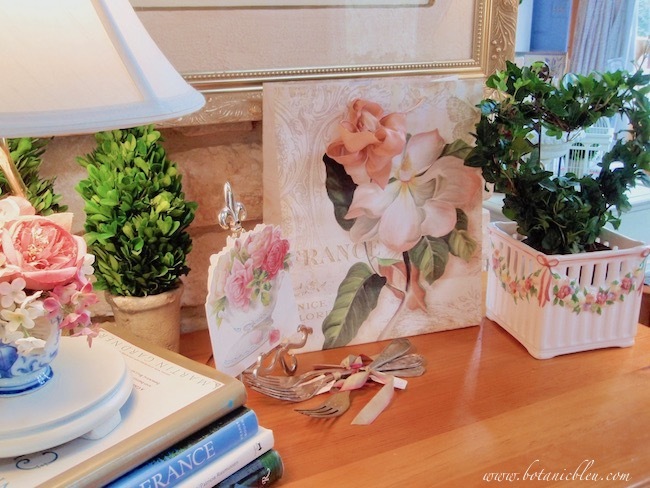 You may find some of my insight for creating vignettes helpful to you in creating your own vignettes.
. . . like a PRO. . . StoneGable, Home Is Where the Boat Is, My French Country Home . . .
PIN ⤴ to your Pinterest decorating boards for reference. 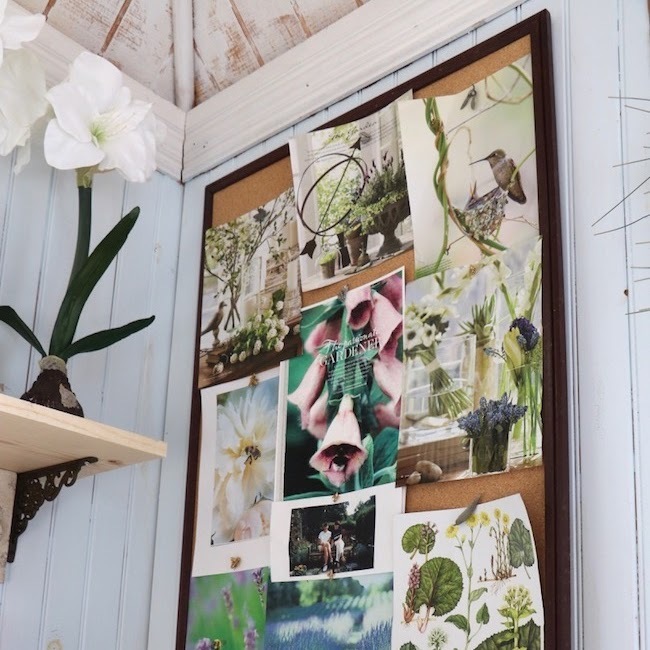 Create your own Interior Design class to study on a Pinterest Board. Peeks at the pine chest begin with the current summer arrangement. In a few weeks, I will change the grouping to transition from summer to fall. The black clock already is adding a touch of soon-to-come fall. Part 2 of Pine Chest Vignette Tips will feature Fall and Winter with heavy emphasis on my favorite holiday . . . Christmas. You probably already know THE primary basic decorating tip . . .
Group objects in sets of ODD numbers, 3, 5, 7 . . . 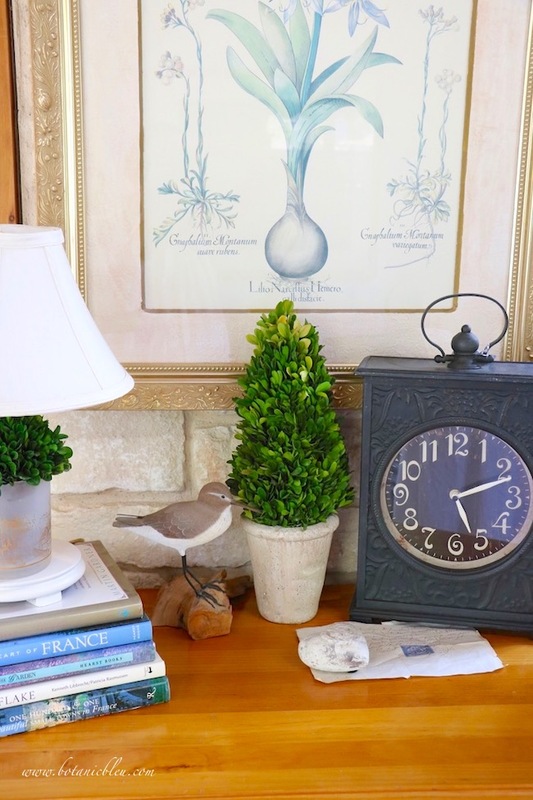 While there are more than three objects visible, the bird, the boxwood topiary, and the clock dominate the space with the stone heart and French ephemera secondary to the big picture. Thus, THE primary basic decorating tip is followed, but not rigidly. This is a key idea in creating your own arrangements. In general, follow some guidelines for your best results, but remember to "color outside the lines" for refreshing vignettes filled with your personality and style. Now, take a look back at how the pine chest was decorated in previous years. Valentine's Day is all about AMOUR (love) and flowers. 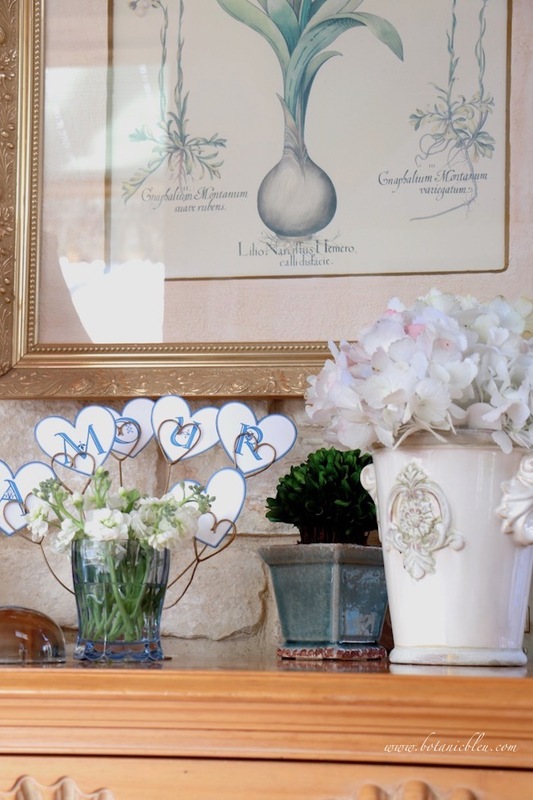 What better way to celebrate this special holiday than with a French love banner and white hydrangeas? Yes, Valentine's Day is during Winter, not Spring. Perhaps this post's title should have said, "Pine Chest Vignette Tips | First Half of the Year." 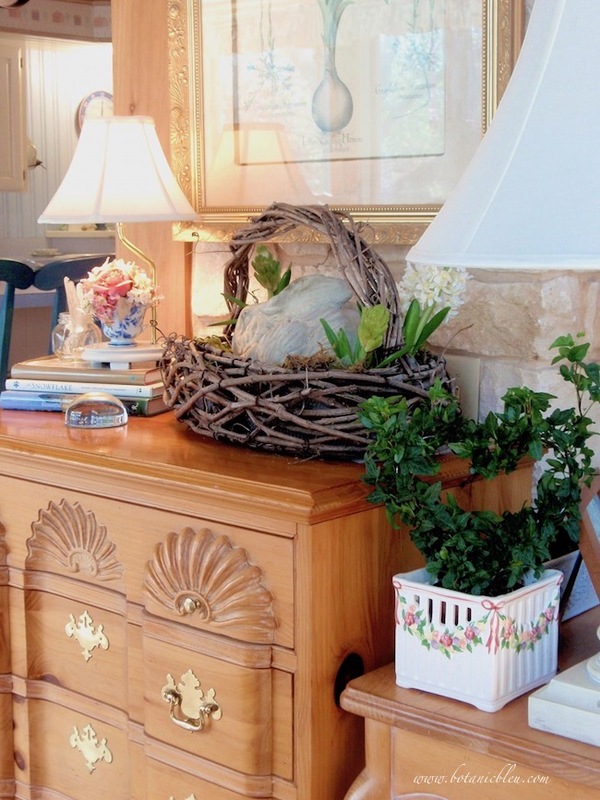 Eye-catching vignettes often use objects of varying heights. But, there is a little more to heights than varying them. As you view all of the pine chest vignettes, notice the tallest object in the group, white urn with white hydrangea above, is almost always to the right of any group. ❶ Heights can direct movement of the eyes across a space. You want the eyes to stay within the arrangement, not wander off into never-never land. I learned this key idea of eye movement around a page from a workshop given to high school students on how to lay out photos on pages in the school year book. I was seventeen and the design concept was so significant it has played a role in many diverse things I have designed over the years, including the layout of questions of high school math tests. 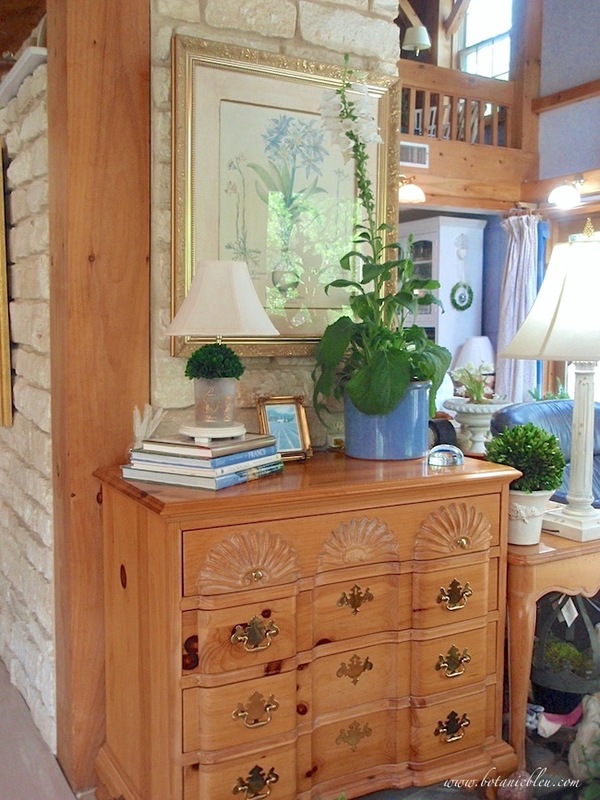 The large lily print on the wall is part of the overall arrangements on the pine chest. By having the tallest object to the right, the eyes are directed back upward towards the lily print. If a short object is on the far right of the pine chest, the eyes are left looking down and not drawn back into the whole grouping. ➋ The tallest object on the right balances with the tall lamp on the left side of the pine chest. The lamp is actually short, but its height is regulated by the number of books in the book stack on which it stands. The lamp acts as the object on the left to draw the eyes back down from the wall print to the arrangement on the top of the chest. 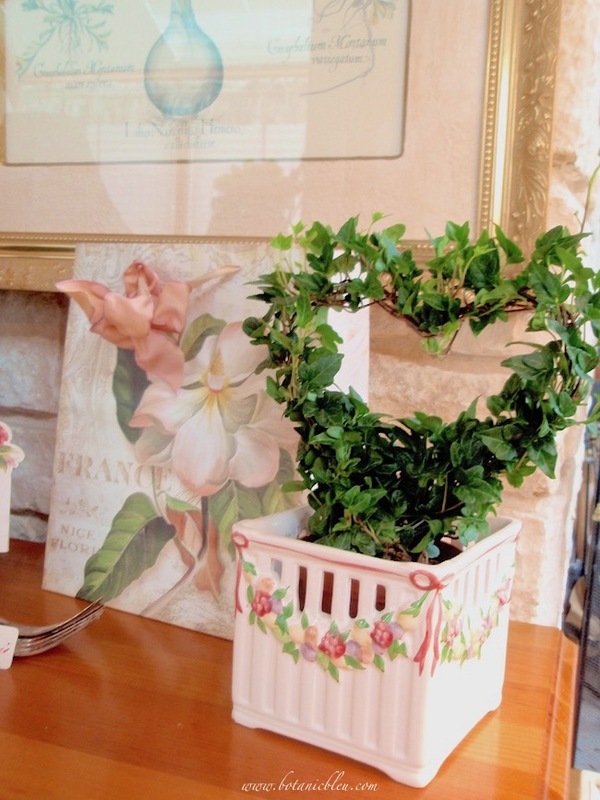 More Valentine's Day love with pink flowers. The ivy heart topiary is just barely taller than the shopping bag to its left. When putting this group together, I kept switching the topiary and the bag back and forth to see which way looked better. Either way will work, but there is that pesky unsightly wall plug hidden better behind the bag than behind the planter. And, the topiary is just slightly taller than the bag. 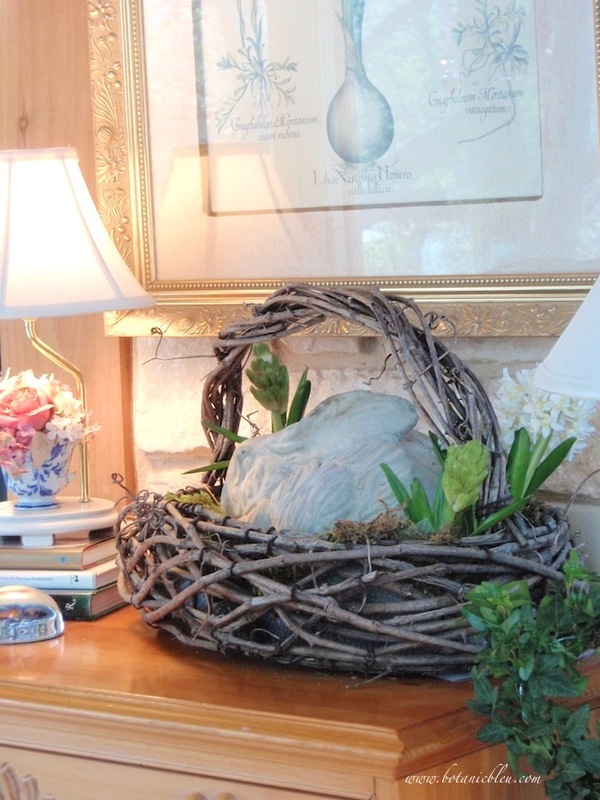 Easter bunny love fills a rustic basket with moss and faux hyacinths as accents. 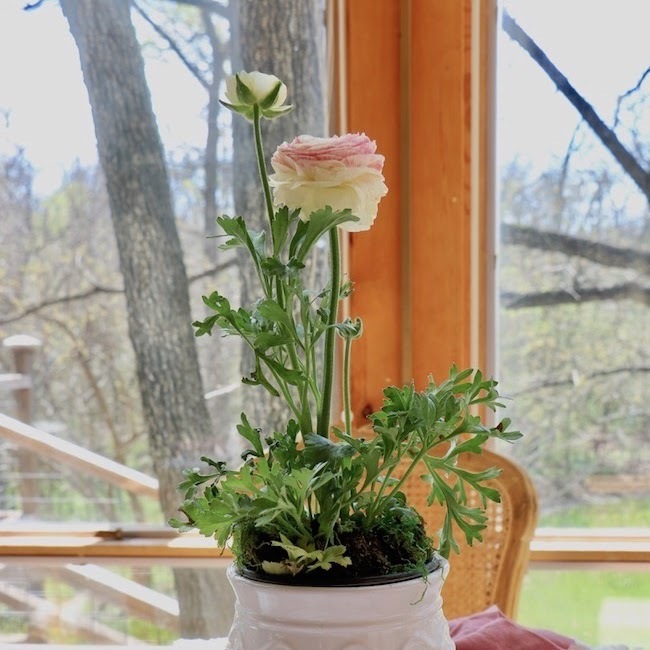 With the faux rose bouquet on the lamp base, they provide another basic decorating staple . 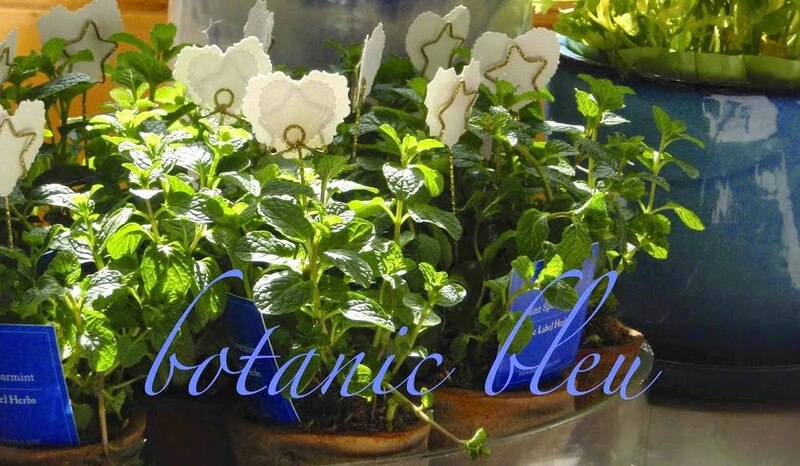 . . natural plants, flowers, vines, seed pods . . . including the artificial variety. Natural materials (or good imitations) add texture. The basket adds plenty of texture and natural goodness, but the moss and faux hyacinths soften the hard concrete bunny and wood basket. They also integrate the bunny to the basket. The basket, the lamp, and the print form the three objects in the grouping. The basket's large curved handle leads the eyes upward to the lily print, which are, in turn, then led downward by the lamp. The lamp and basket are different heights with top edge of the basket handle and the lamp visually overlapping the wall print which connects the three of them together. 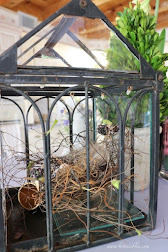 Subtle Easter design with a whimsical bunny card and natural finish wood bird eggs go with a vintage crock filled with early lavender bedding plants. 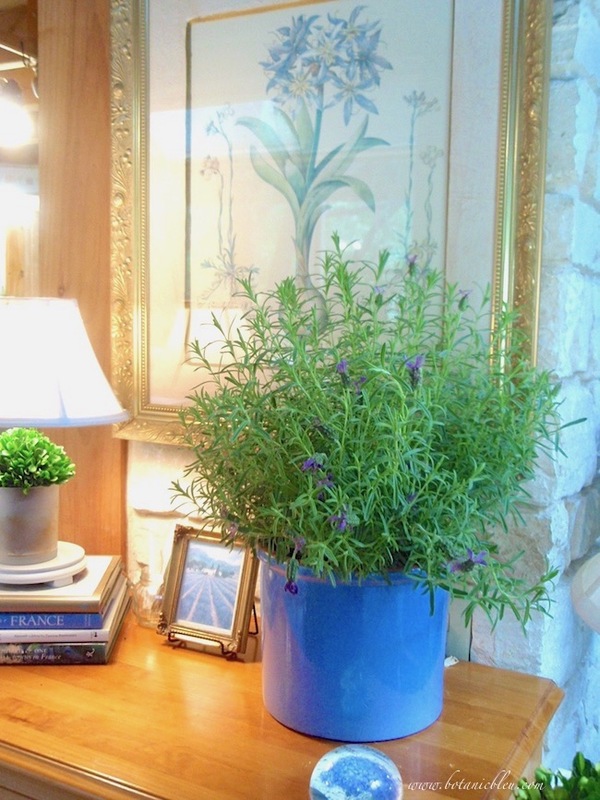 The lavender tendrils tower high above the lamp to create the eye movement flow. Note the way the tallest flower stem curves inward toward the grouping. If the stem were positioned so it leaned to the right, away from the group, the eyes would not flow back to the arrangement. The vignette illustrates using color to tie the different parts together. Blue to bluish purple and off-white are the dominant color threads. Blue lily, purplish lavender blooms, blue floral plate, and blue color in book covers repeat the color enough to tie the objects together. 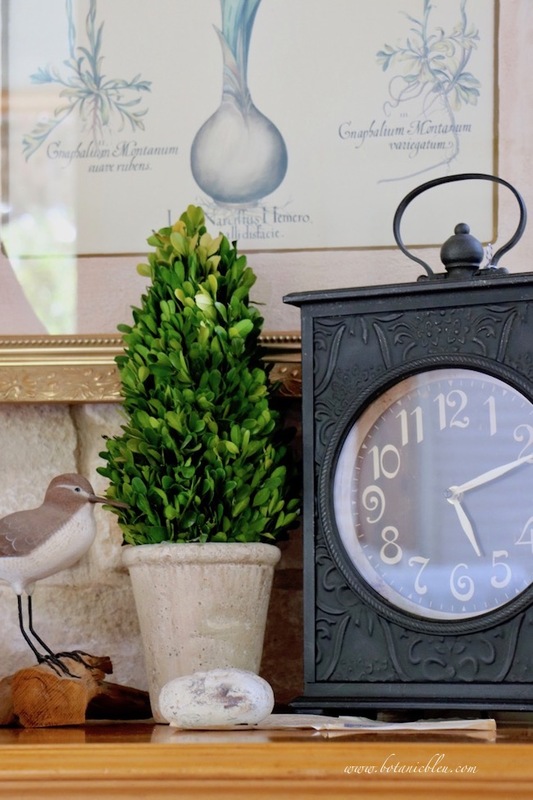 White and natural texture are provided by the stone fireplace wall, the vintage crock, the white raised pattern small plate, and the natural wood eggs. Did you spot there are five eggs? A general guideline is to use at least three spots of the same color. 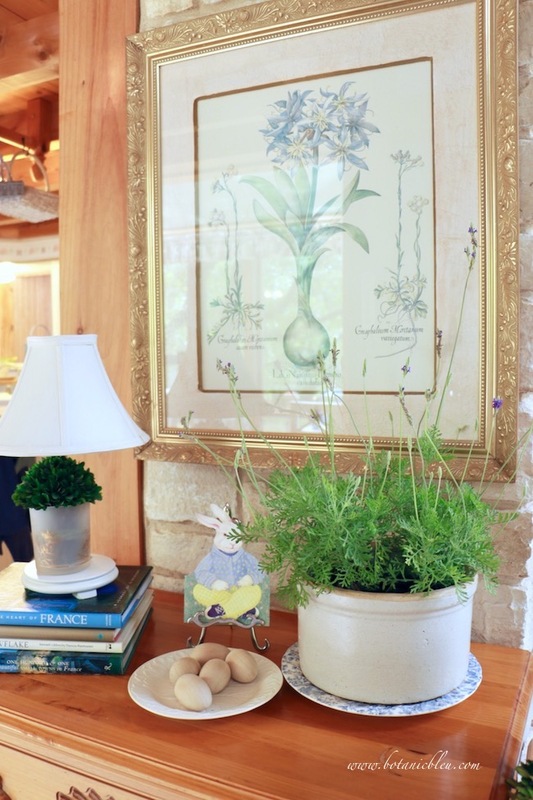 The print, lamp, lavender plants, egg plate, and rabbit card form a group of five. The lavender plants, egg plate, and rabbit card form a subgroup of three. Late spring to early summer is a good time to use large bedding plants inside before transplanting them to your outside gardens. The small framed print is a lavender field in France which repeats both the lavender flowers and the blue-ish colors in the other objects. Foxgloves add a dramatic look with their heights reaching above the framed lily print. Since the living room and the stone fireplace soar also, the plant fits the space. Large spaces handle large arrangements! Use the scale of your room to use proportional objects. 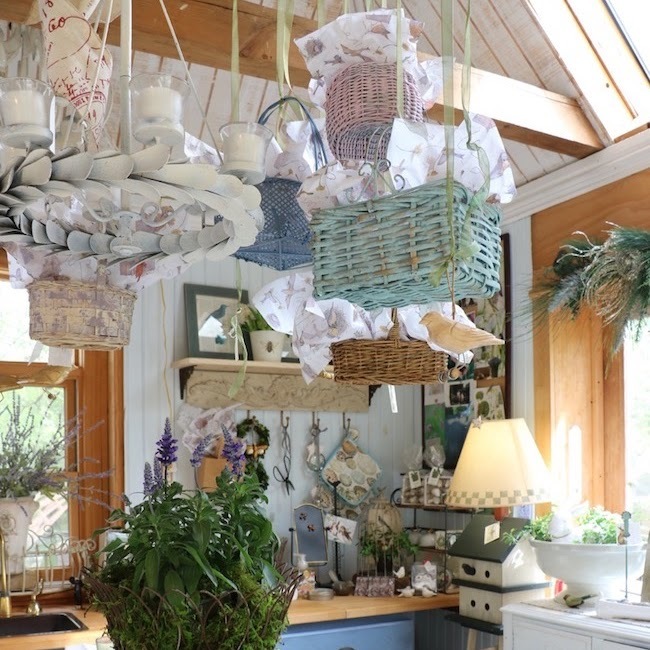 If your room has an eight-foot ceiling, you can still use a huge arrangement. Just use one with massive width, instead of height. Mid to late summer is a good time to use white for its cooling effect. Since both the planter and the fleur de lis plate are large, no other objects are needed for a pleasing arrangement. The space is filled without being crowded. The objects are large enough to connect visually with one another without feeling set adrift. By placing the large navy plate slightly behind the French urn, the visual connection is made. If the plate were set in between the lamp and urn without a visual overlap with either, the group would not appear as a group to me. Rather, it would look like three items with no anchor to the others. Have you started a Pinterest board for Interior Design tips? The tips I shared were meant to be specific technical ideas instead of general ideas showing only finished arrangements and what was used. I hope these tips explain how, where, and why to place items. 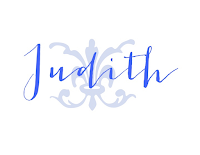 I love seeing beautiful homes, table settings, and arrangements, but to begin to create similar designs in my own home, I need to analyze the how, where, and why. Perhaps some of my insights will help you, too. Next up will be the second part of this two-part series, Pine Chest Vignette Tips | Fall and Winter. There will be additional decorating tips shown and explained. Also coming will be a revised series for which I am taking new photos and updating information. The original series has some of my most popular posts in the history of my blog, and I think the new photos using my DSLR camera will make it even better. 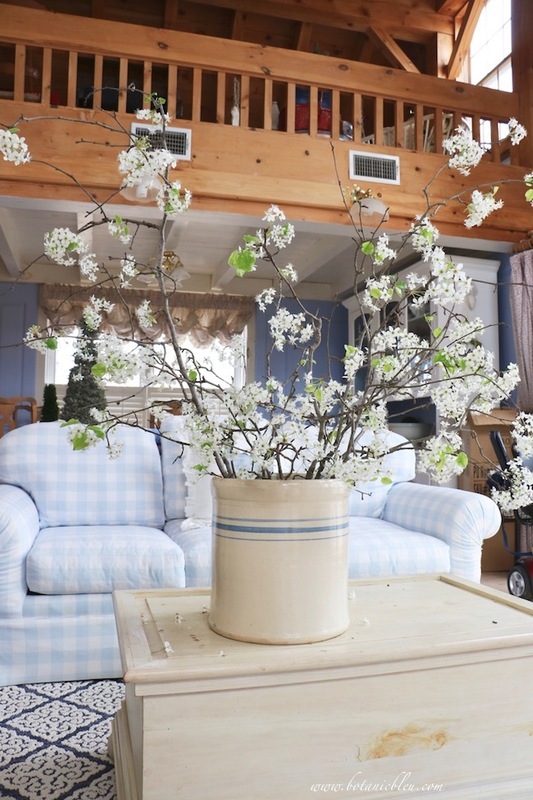 Have you ever thought about eye movement when creating your decorating arrangements? I love doing vignettes in my house. I use books a lot, and plants, too. 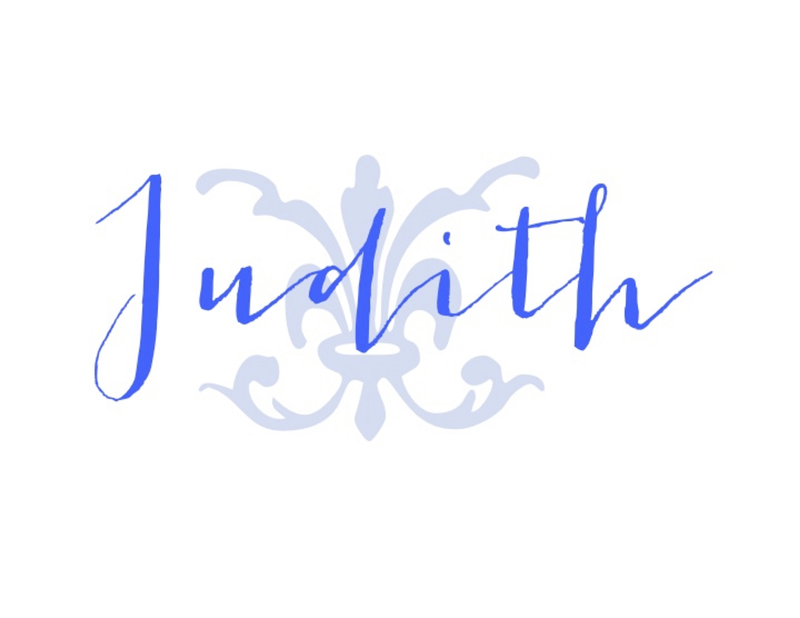 Lovely as always, Judith. I find changing up vignettes through the seasons to be very satisfying. It keeps things fresh and interesting. Great photos and dialog. Great look back at the vignettes on the pine chest. Thanks for all the tips. Everything is lovely. 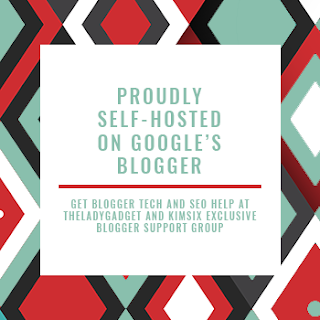 Pinterest, Instagram and other blogs offer so much inspiration. Your ideas are always lovely! I love your translation of the tips you glean. That blue and white plate is a cutie. Thanks for linking to Keep in Touch.